2.1 Click on "Post a new listing". 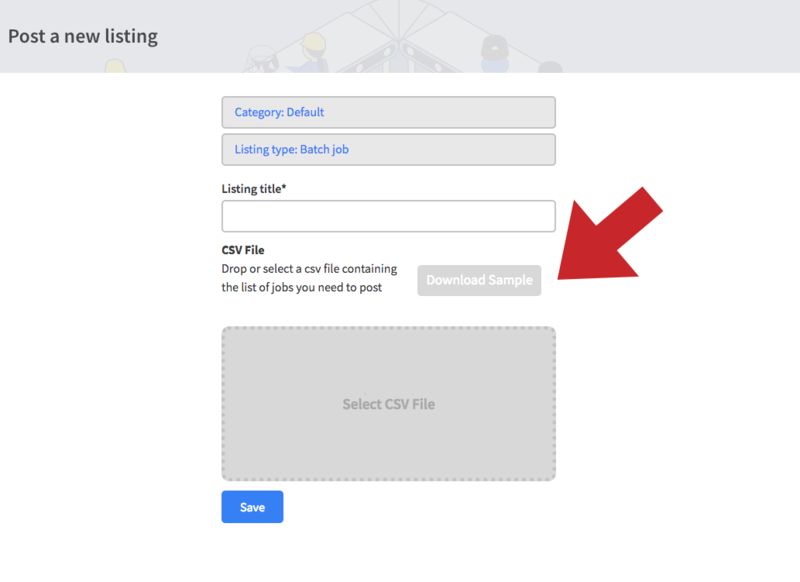 2.3 Download CSV listing sample. 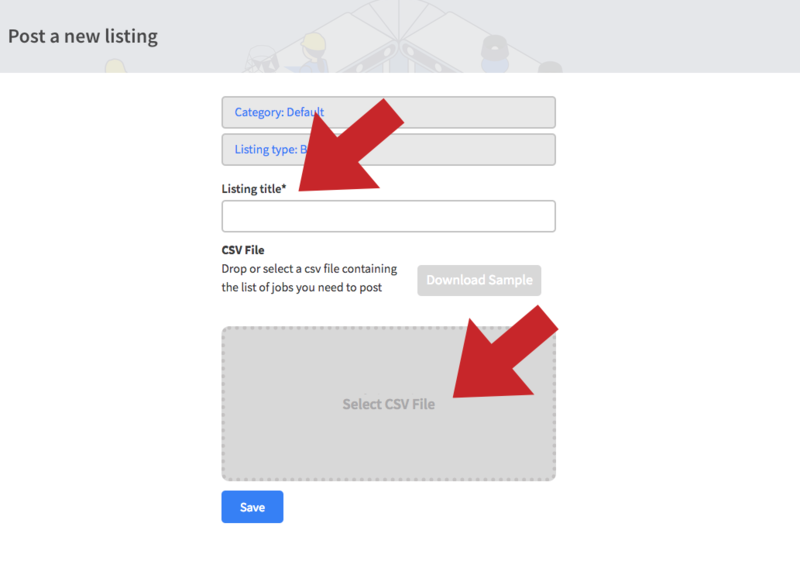 2.4 Fill in CSV listing with all required informations. 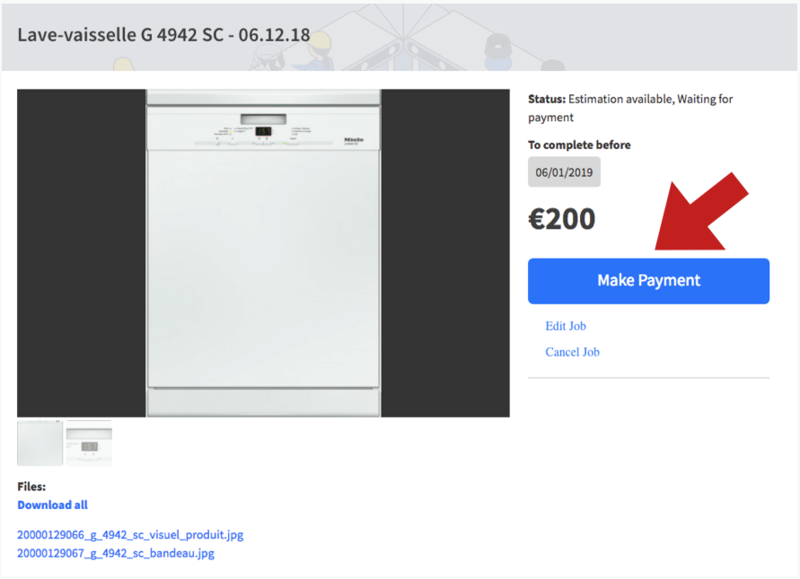 Is your 3D model meant to be linked to an e-commerce product page with an AR button or web viewer? YES >> Product identifier; Brand; GTIN (EAN); Name of Product; URL; Dimensions (Height, Length, Depth + Unit) are MANDATORY + Keep .csv format. NO >> Product identifier; Brand; Name of Product; Dimensions (Height, Length, Depth + Unit) are MANDATORY + Keep .csv format. 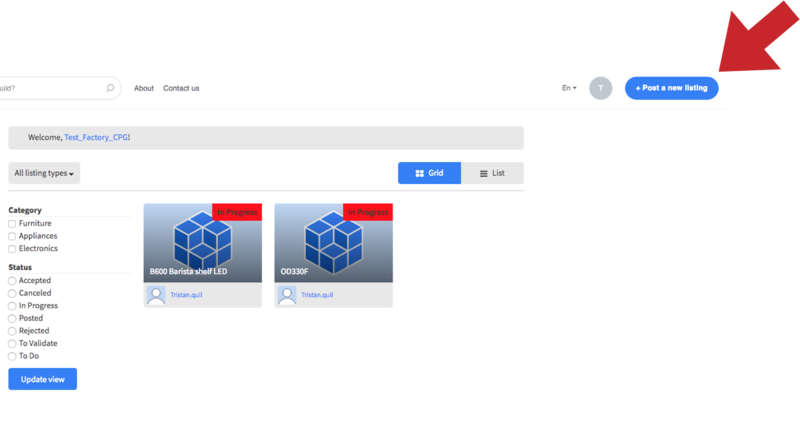 3.1 Add visuals / imagery for each product request, by clicking on [ + ]. 3.2 For each product add, at minimum, 3 views (ideally 4 views), plus additional textures (Logos, artworks, close-ups...). 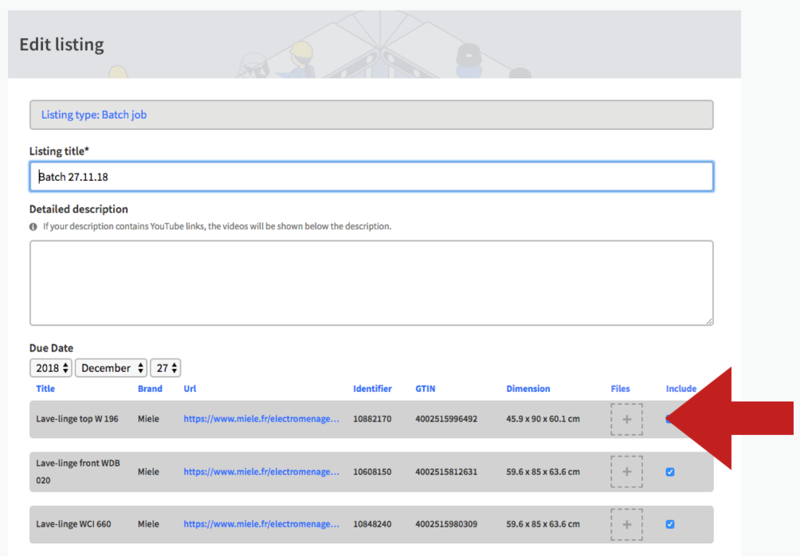 3.3 In 'Detailed description' indicate anything to know about the product. 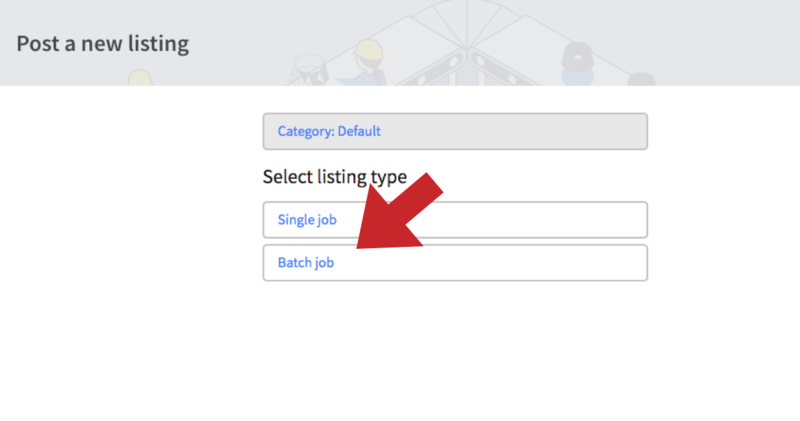 You will then receive a pricing estimate for your batch jobs request. See it in the "Waiting for Payment" section. 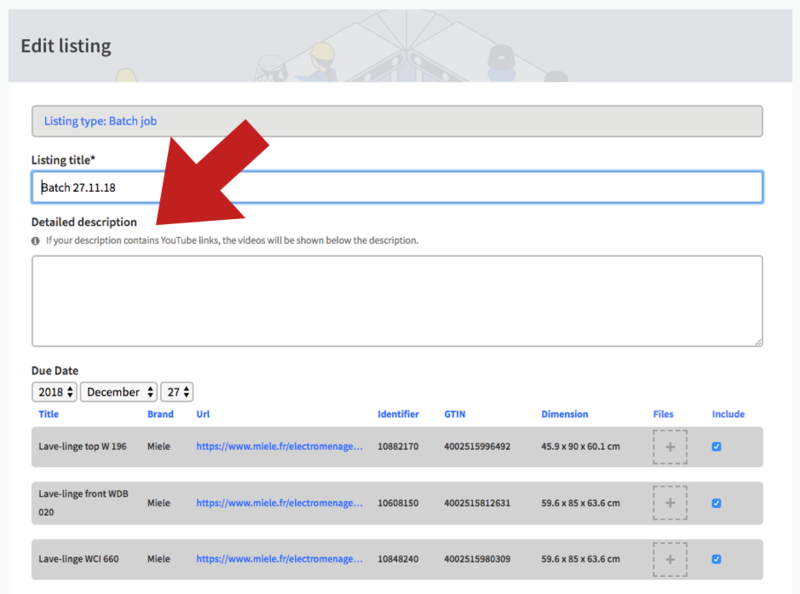 If you're willing to accept the payment, then click on "Make Payment" for the batch. 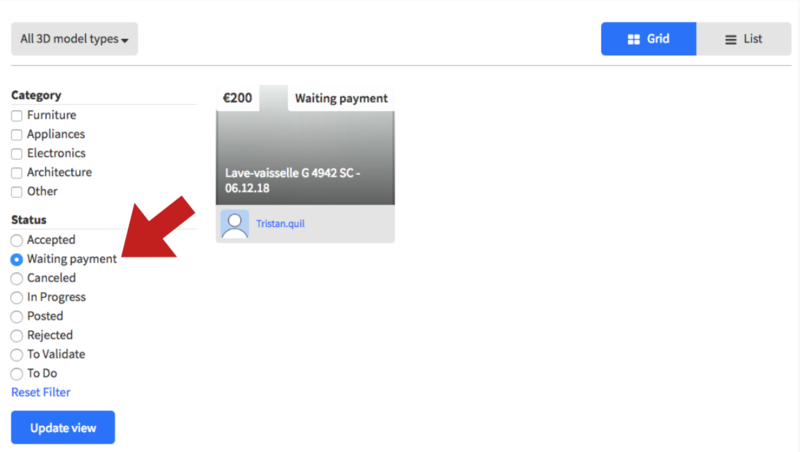 Please note that if you accept and "Make Payment" it will be automatically assigned to a designer who will then start the job until you approve it. Cancellation is not permitted.